New! 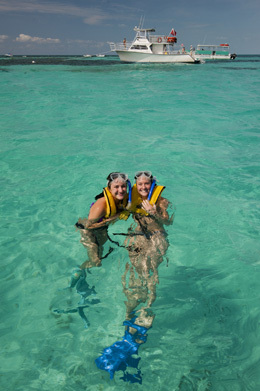 Our all inclusive private snorkeling charter at our Club Snorkel division located at our Dive Shop. Skip the crowds for a personal and relaxed snorkeling experience. The coral reef at John Pennekamp Coral Reef State Park are among the most beautiful and diverse of all living communities. Personal or Group in-water guide available upon request for $45 plus tax. Each additional snorkeler (guided) is $15 plus tax. Max. group size is 6 snorkelers per guide. 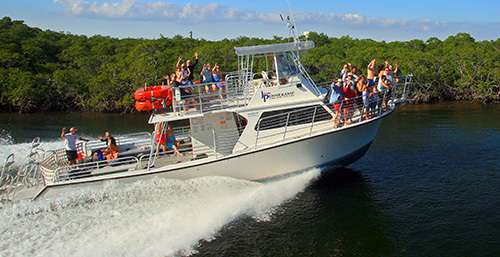 Please call (305) 451-6316 for special group rates and payment information for 25 or more passengers. Minimum passenger requirements on all tours. Safety vest is provided at no charge. All gear rental rates apply. For your added comfort, these tours operate at a reduced capacity.